Happy Needle and Thread Thursday, y'all. 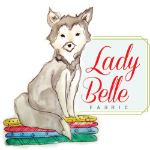 Well, my quilts, manuscript, and other materials for my book have been shipped out to Martingale, and it feels like a huge weight has been lifted right off my shoulders. 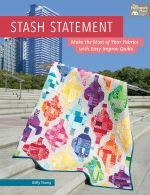 Though I'm sure I'll have plenty of contact with my editor and some revisions to do before the book is released next spring, I'll be getting much more sewing time now that the big push is over. Woohoo! After all of that work, I needed some fast, fresh inspiration. 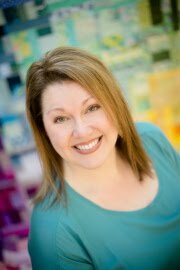 Anna Maria Horner to the rescue! I've been hoarding AMH prints for the past several months for an eventual king size quilt for my bed. By hoarding, I mean that I have amassed 120 different fat quarters (umm, that's 30 yards of fabric- yikes! 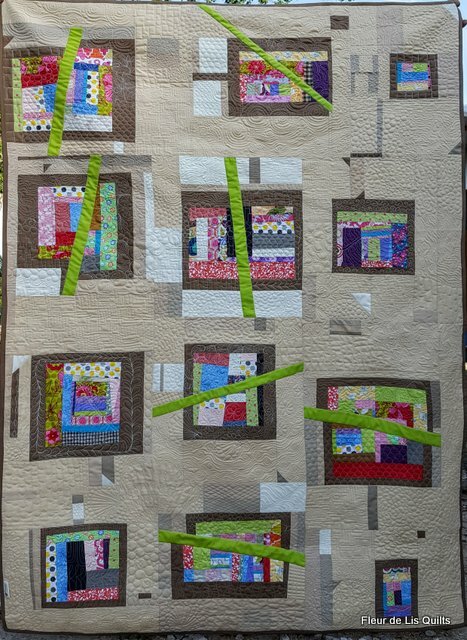 ), and though I am not quite ready to tackle a giant quilt right now, I couldn't help but cut into several of them. 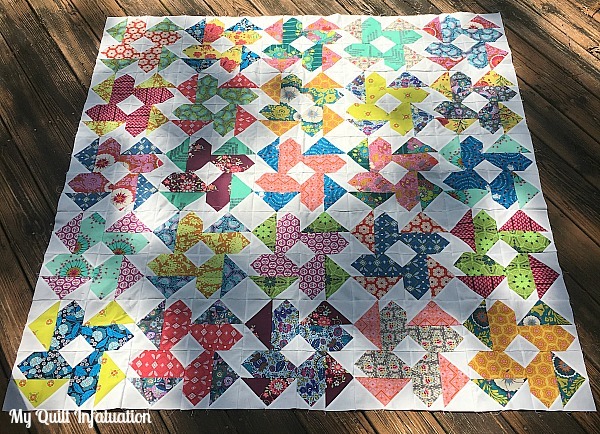 This quilt is my Folk Dance pattern, designed to look like bright, twirling skirts, and it took just over a fat eighth of 25 different prints (including a couple of Amy Butler fabrics for good measure). I sold my original Folk Dance quilt before I began teaching quilt classes and presenting trunk shows, so a remake was in order, and these prints were the perfect choice for a celebration quilt. It also occurred to me that I never got the chance to share this fun mini with you here. My guild organizes a couple of swaps each year, each with different themes, and they are always SO fun! The theme for this particular swap was Savvy Solids. 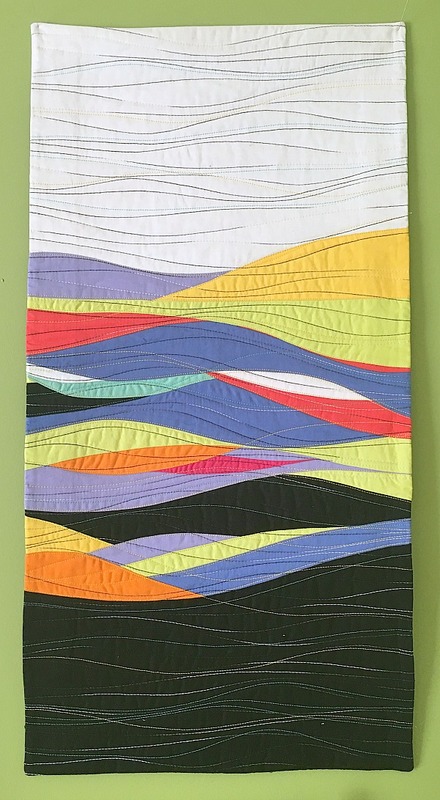 This mini has 24 different solids and each strip only measures 3/4" wide, making the entire mini 18 inches square. Most are Kona colors, but there are a few Moda Bella solids, and even a couple of Cloud 9 Cirrus solids as well. I quilted it very densely and matched the thread as closely as possible to each solid. It's hard to tell in the picture, but the thread actually makes its own soft rainbow in the background. I love this little mini so much that I almost kept it for myself (and I definitely plan to make a second one someday), but it makes me happy to know that the recipient truly loves it. Don't feel sad for me though, because the swap mini I received flat-out rocks! I was lucky enough to receive this mini made by prolific modern art quilter Paula Kovarik, who is also a member of our guild. So, let's get down to the eye-candy from last week's party! 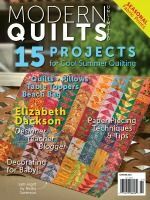 This improv sampler from Diann at Little Penguin Quilts is awesome! Just look at this fantastic mini created by Lori at Crossquilt. Lori is one of my guild friends, and I always love getting to see her projects in person. 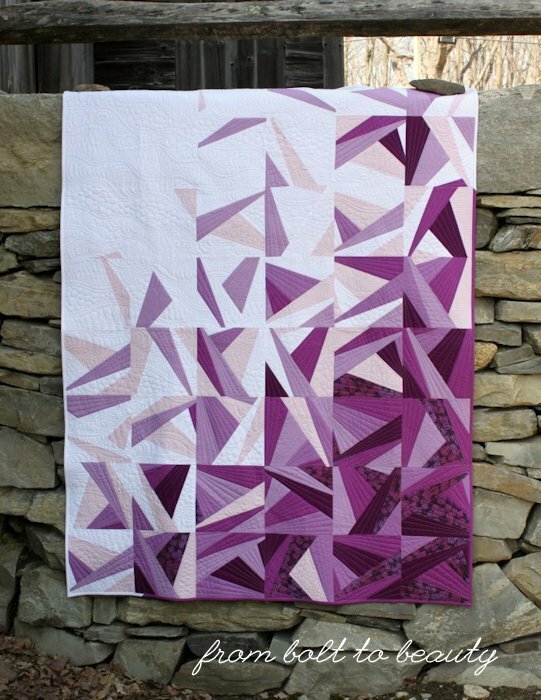 Check out the Grape Fizz quilt from Michelle at From Bolt to Beauty. It's gorgeous, and the addition of the single print amongst the solids is a great design choice. 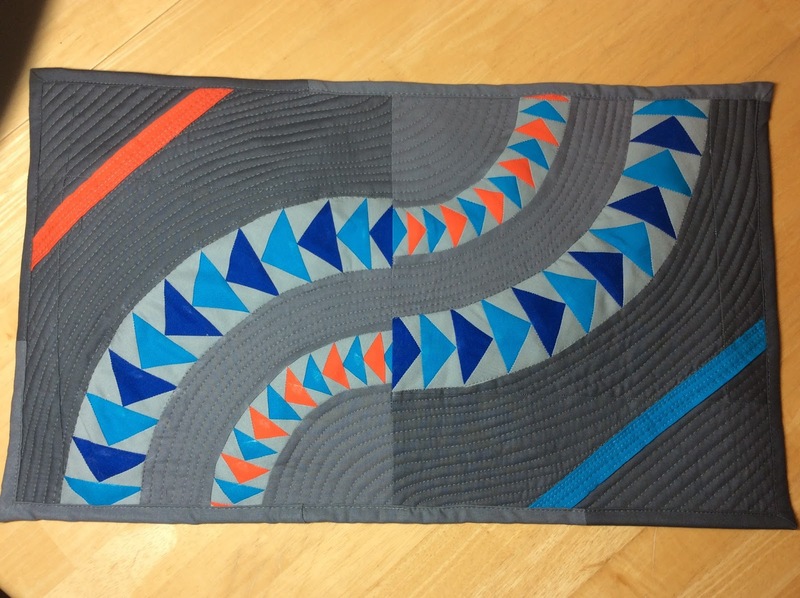 And I just can't help but share this improv quilt with stunning quilting by Mary at Fleur de Lis Quilts. 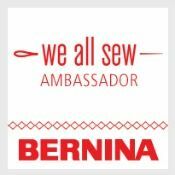 Be sure to check out her post for close-ups of the quilting. Wow, friends! I am floored by your amazing work week after week. This week, it was particularly difficult to choose features. 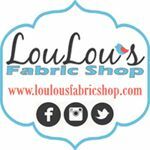 I hope you're having lots of fun in your sewing space this week, too. Let's link up! Congratulations!! I am SO happy for you! Well done, friend. :) You deserve a nice break! And also, the mini you received - wow! That quilting is off the charts. Kudos on getting the book stuff accomplished! I like the way you celebrate, you "dance" - how fun! 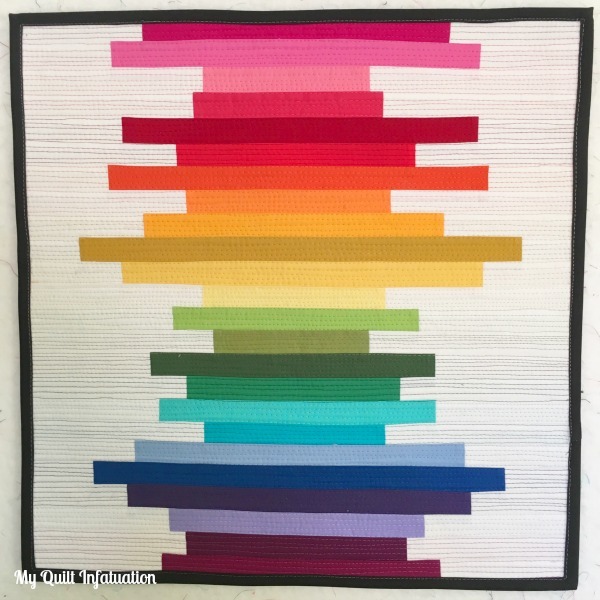 Thanks so much for featuring my improv quilt this week, Kelly! 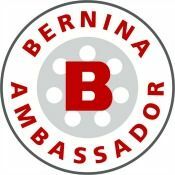 I feel very honored. 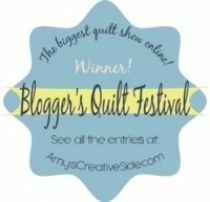 Your Amy Butler Folk Dance quilt is just gorgeous, and what fun mini quilts you shared from the guild swap, too! Love those twirling skirts! Glad you're going to get more time to sew!!! Both minis are beautiful!! I can see why you want to make one for yourself. A special thanks for featuring my improv quilt. 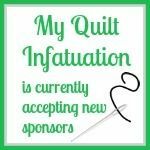 I really had fun playing with the quilting so getting kudos from others is extra special (and means I should just play!) Thanks!